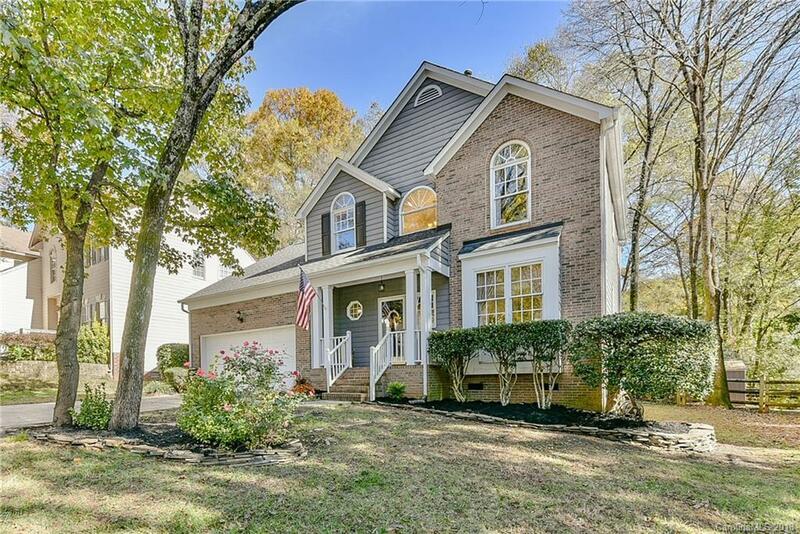 Gorgeous 3 bdrm 2.5 bathroom 2377 sqft home, located in the Davis Lake area of Charlotte! Quiet cul-de-sac setting, with mature trees. Flooring on the main level of the home has been updated with hardwoods, & tile located in the kitchen area. Living room & dining room combo provides the perfect setting for entertaining. The kitchen has been updated with beautiful granite counter tops, including the center island. Breakfast nook in kitchen features plenty of windows for natural light, & provides great views of the large back yard which features a storage shed, & is fenced. The cozy den off the kitchen features a fireplace for those chilly nights. There is a half bath located on the main floor for convenience. The large master suite on the second floor features huge windows for natural light, a private en suite bath with soaking tub & stand up shower, plus walk in closet. Two generously sized guest rooms and bath are on this level. LARGE bonus room which could be used as a 4th bedroom!! !